Expressing surprise at the soaring protests in Jammu and Kashmir over the killing of Hizbul Mujahideen commander Burhan Wani, the Centre on Sunday said that it failed to understand how any Indian could have sympathy for a terrorist and asserted that it would not tolerate such sentiments and activities. "We are really surprised that some people are trying to support those so called protestors who are sympathising with the terrorist. He is a Hizbul Mujahideen commander. How can any Indian have sympathy for such people? 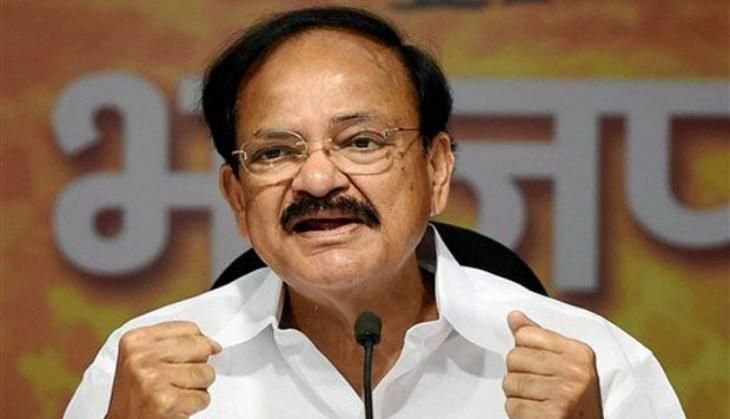 And as far as the government is concerned, we are very clear that we will not tolerate such activities," Union Information and Broadcasting Minister M Venkaiah Naidu told the media here. Stating that the Kashmir issue was not a sudden development and had been a problem for a very long time, Naidu further said that terrorism and violence is not acceptable, in whatever form and by whoever who does it. "Kashmir is an integral part of India. There is no question of any negotiation or any discussion on that. But you cannot have an overnight or readymade solution for such a long standing issue," he said. Talking about the current state of unrest in the valley, the Union Minister asserted that the government was trying to deal with the problem by adopting democratic methods and added that the Centre is extending all the support to the state government. "The Centre and state together will tackle the situation. I am confident that the situation will be brought to normalcy at the earliest. Some people who are inspired by our neighbour are trying to create disturbances," Naidu added. Earlier today, Union Home Minister Rajnath Singh chaired a high-level meeting to review the law and order situation in the valley. Home Secretary Anil Goswami, Joint Secretary (Kashmir division) Gyanesh Kumar, Intelligence Bureau (IB) Chief Dineshwar Sharma and senior Ministry of Home Affairs (MHA) officials were present at the meeting held at Rajnath's residence. Discussing similar issues, Jammu and Kashmir Chief Minister Mehbooba Mufti chaired a cabinet meeting to review security situation in the state. The meeting comes in the wake of the soaring violence in the valley as the death toll in the clashes between security forces and protestors has reached 15, as three more civilians succumbed to injuries. At least 100 protesters were injured on Saturday. They suffered bullet, tear smoke and pellet injuries. Violence erupted in south Kashmir districts of Anantnag, Pulwama, Shopian and Kulgam and later spread to other districts in the valley after security forces killed Wani and two of his associates in Bamdoora (Kokarnag) village of Anantnag district on Friday. Wani was buried in his native Shariefabad (Tral) village on Saturday where nearly 40,000 people gathered defying curfew restrictions to take part in his funeral prayers. The separatists have called for a valley-wide shutdown till Monday to protest against Wani's killing.